Absolutely appropriate for restaurant workers. Less so for manufacturing, but it does gather the labor data effectively when everyone logs in properly. HotSchedules tracks our labor hours and dollars. Being able to do quick labor analysis helps us make sure our pricing is in line with our estimates for clients. HotSchedules tracks our employee trainings. Because we are a third party audited food manufacturing facility, we have both formal certifications (CA Food Handler Cards) and monthly trainings on subjects such as Food Safety, GMP's, Pest Control, Allergen Control, HACCP and Sanitation. Being able to have a record easily accessible for each employee to prove to our auditors and keep those employees up to date with training is invaluable as an organizational tool. The Time Clock feature could definitely use some help. We have to manually review each person's hours to make sure they didn't miss a punch. If we don't do this, it will manually clock them out at 4 am, in effect paying them for a very long day that they didn't work. You should be able to copy and paste shifts when scheduling non-house shifts. Let's say I am scheduling for a special event and I need 10 servers in at 5 pm to serve, I have to manually enter all of those instead of being able to just schedule one and copy and paste it to everyone else. When messaging, you should be able to respond to messages directly from your email like you can on Shift Note. Ease of use, efficiently creating and posting staff schedules. 6 Years of Experience provides me the insight on the upgrades and changes that HotSchedules has done to improve the experience of its users. There are so many features that we still have not started or used to the fullest, but we believe that we are currently getting a strong value out of the money that is paid for this product. HotSchedules Support is fast and VERY informative. I can generally solve any issue I have within 30 minutes or less. They are helpful and I do not have to go though MANY channels to a simple issue. I believe HotSchedules is a premier tool for our businesses. 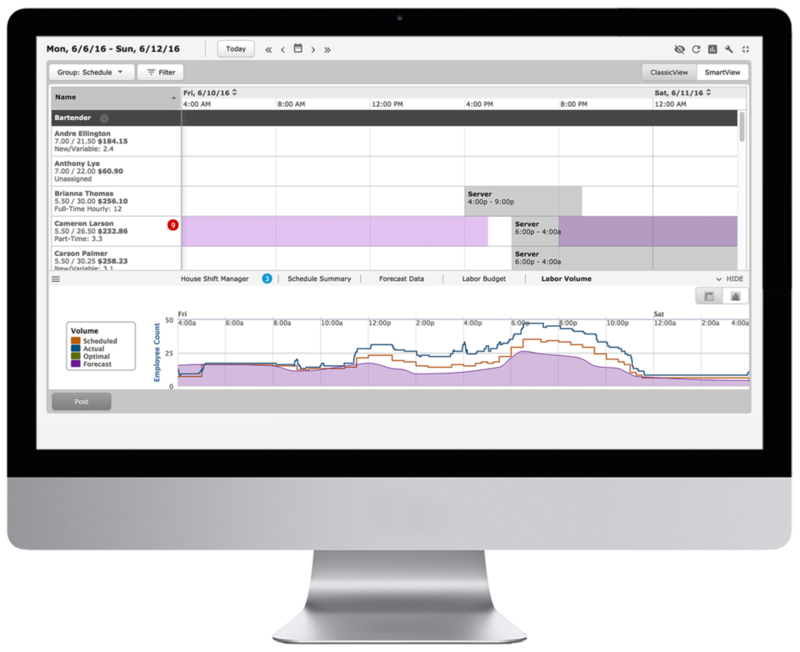 Our last scheduler app did not provide the store log feature, where as HotSchedules provides all of the features that we need and MORE. Reports, Staff Journals, tracking task assignments, handling multiple time off requests. Best part, we still haven't used everything it provides. Saving time on scheduling means our managers can focus more on guest experience, managing the floor and other areas that contribute to the success of our business. Time-Off, Availability, Employee Hours, Sales Volume are all available in the scheduler.